In 2-quart non-metal freezer container, stir all ingredients except ginger ale until sugar is dissolved. Freeze 4 to 6 hours or until slush consistency. To serve, spoon 1/2 cup slush mixture into each serving glass; pour 1/2 cup ginger ale over each. If slush is frozen solid, let it stand at room temperature about 1/2 hour before serving. 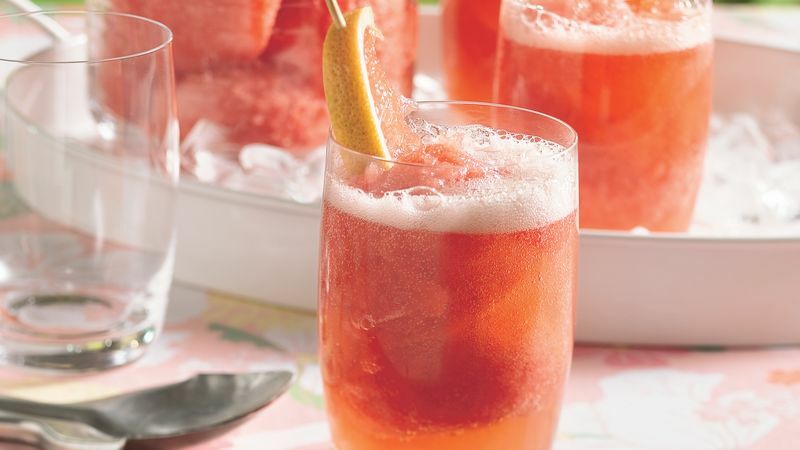 Garnish each serving glass with a fresh pink grapefruit wedge.